The rooibos bush (pron: ‘roy-bus’) grows only in the Cederberg Mountain range of South Africa. It was first noted by botanist Carl Humberg in 1772. A century later, Benjamin Ginsberg, a Russian immigrant, realized its marketing potential, and in 1904 began offering it as an herbal substitute to tea. 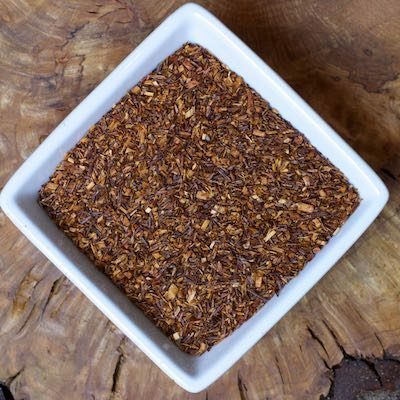 The difficulty of shipping tea during World War II boosted demand for Rooibos, which began to be referred to as ‘Red Bush Tea’, or simply ‘Red Tea.’ In Japan, Rooibos is believed to aid longevity, and is known as Long Life Tea.